Museum of the City of New York - Don Freeman's Newsstand. June, 1937. 14 pages. On first page: Signs of the Times in lightographs, a biomonthly magazine. Reports from a roving sketchbook all around the town - news not found on the "Front Page." New York's cast of characters in color and black and white from the original plates. 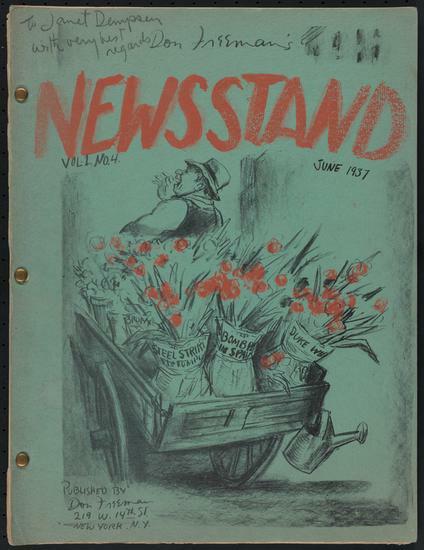 Subscriptions by mail, six issues, three dollars. Single copy, 50 cents. Back cover missing at time of acquisition.